It’s the season to be jolly, festive vibes all around. 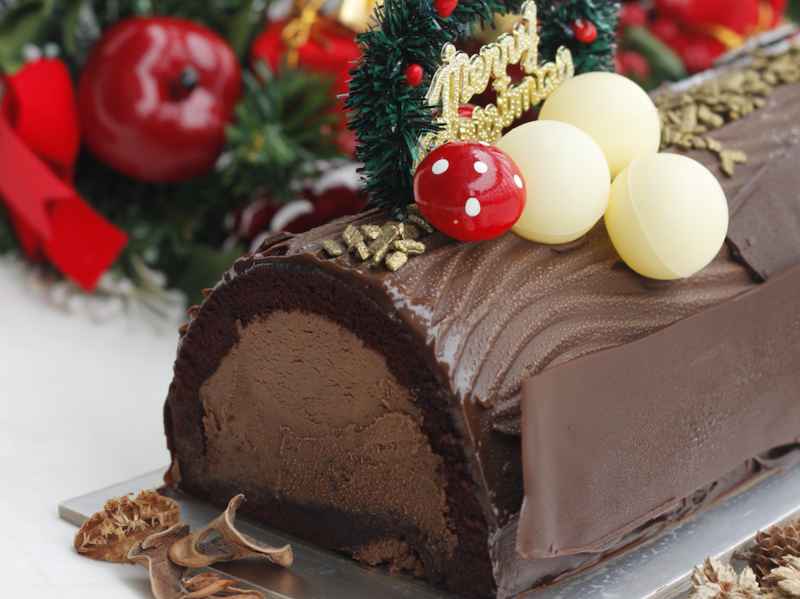 With all the gatherings around the corner, log cakes are a definite. 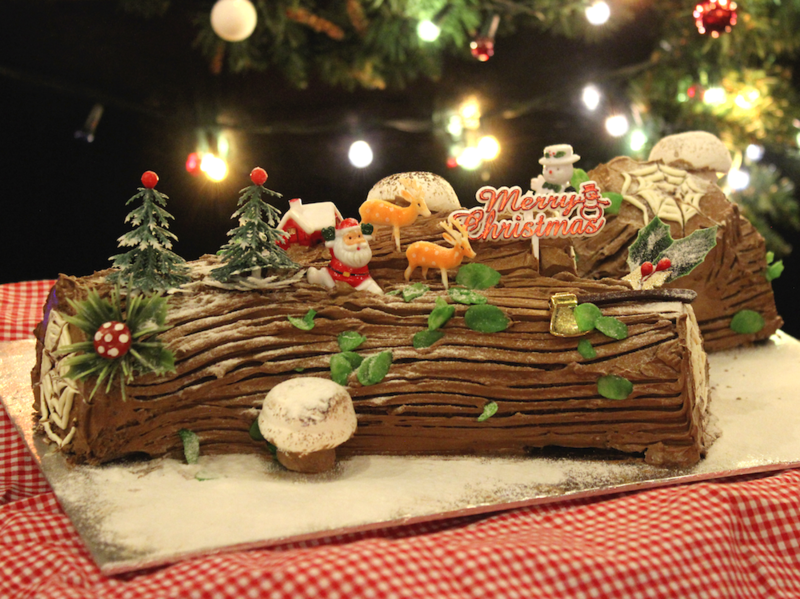 Ever wondered why we eat log cakes at Christmas? Back in the day yule logs were used for a source of warmth and light, then slowly popularized and became a symbol of hearth. Somewhere along the way people replaced this symbakes. Gone are the days we need to heat ourselves up by starting a fire but the tradition will live on in our tummies during the season by eating log cakes. In any case we have to thank the genius who introduced the change for all the delicious log cakes every Christmas season. 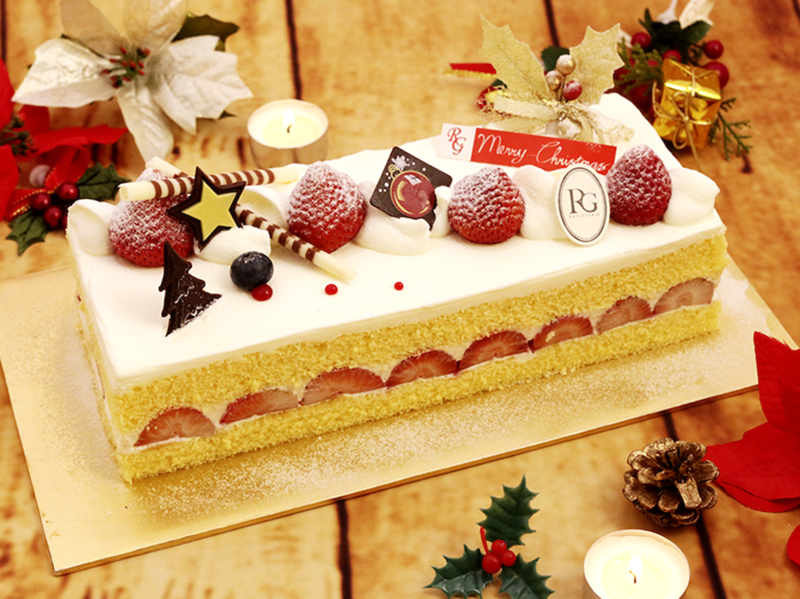 For 2016 year end, we are featuring the most popular selections of their individual bakeries! So you won’t have to fret about not knowing where to go for your log cake shopping spree. A renowned name if you’ve ever cafe-hopped in Tiong Bahru. This bakery centric cafe released the seasonal vanilla chiffon cake, layered with mascarpone cream and chocolate shavings, then brushed with Kahlua syrup. A dark chocolate truffle frosting coats the cake before garnished with cute meringue mushrooms. Fairytale, anyone? 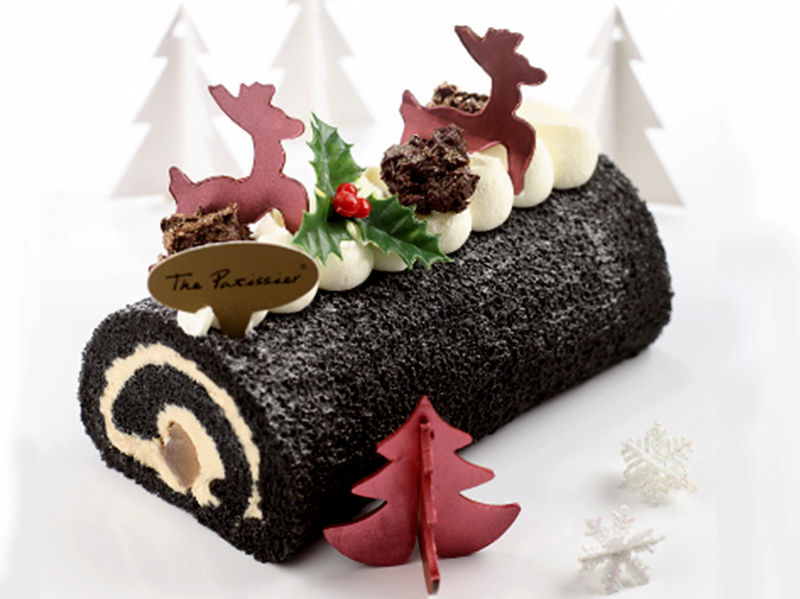 Well known for their Passion Fruit Meringue, the fusion french bakery strikes a chord with the rebooted log cake, pairing an exquisite charcoal chiffon sponge roll that’s filled with luscious chestnut cream and candied chestnuts. Conrad hotel’s rendition of a log cake involves delectable orange-infused chocolate sponge with Venezuelan chocolate butter cream and, you guessed it, orange mousseline centre. 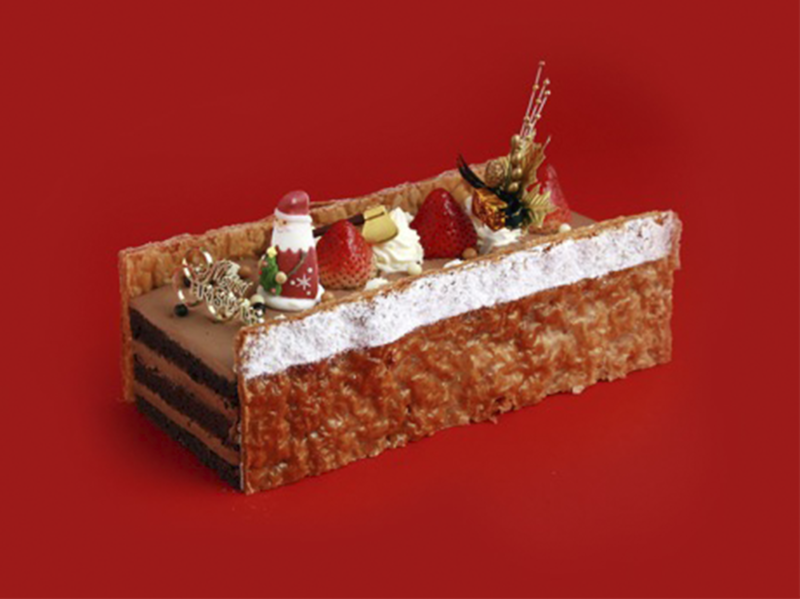 The tanginess of the orange balances the richness of the chocolate, a flavorful balance for your delightful Christmas. FLOR Patisserie achieves fluffiness. Not by the conventional way either, they are all about aerating their egg, beating it to achieve their signature soft and moist cakes. Their yuletide special chocolate brick is no different, alternating dark chocolate sponge and chocolate cream bringing you light mouthfuls all around. 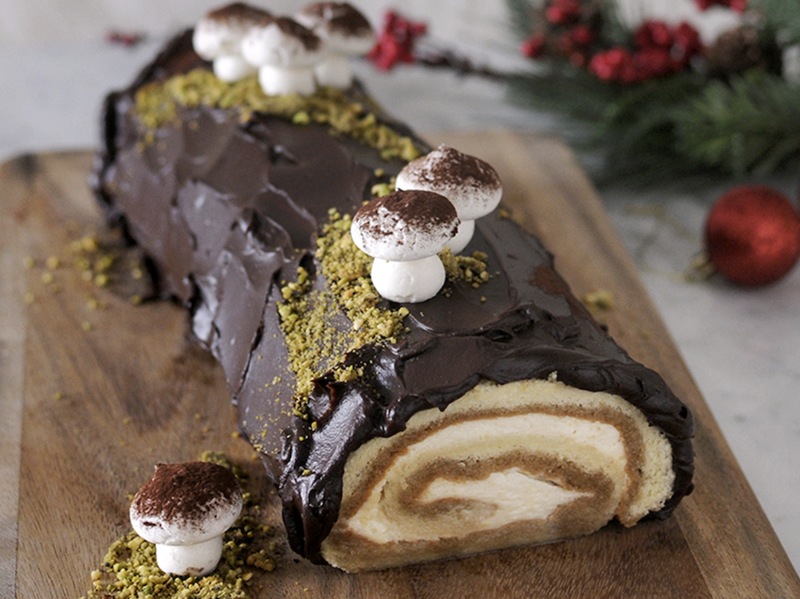 Here’s a log cake that’d definitely tempt you into eating more than one slice. The Belgium chocolate couverture with whipped cream creates a smooth, velvety melt-in-your-mouth ice cream texture. 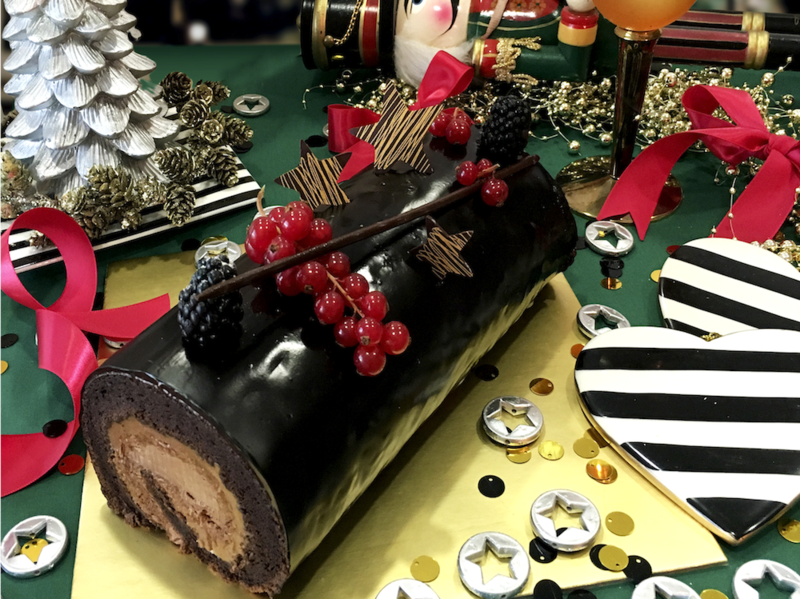 Coating it with chocolate ganache, embellished with croquant nuts and gold chocolate flakes, this chocolate etoile log cake is one to look out for. Also they are having a 20% early bird promotion till 15 Dec. Don’t miss out! Building a repertoire for tofu cheesecakes, Cake Spade has grown in the hearts of the locals, all without using chemical stabilizers and shortenings in their cakes. The Hazelnut Crunch Log Cake is carefully constructed with dark chocolate mousse and delicious hazelnut feuilletine, making sure you’d be back for Cake Spade’s other great selections. Delcie’s is focused on producing satisfying baby and diabetic-friendly log cake selections that are also organic, egg-free, dairy-free and gluten-free. Making their red velvet cream cheese taste like the actual real deal without any dairy is truly magical. All lactose-intolerant people can rejoice as they sink their teeth into this lovely cake. Balmoral started way back with great butter pastries that won the hearts of the locals. 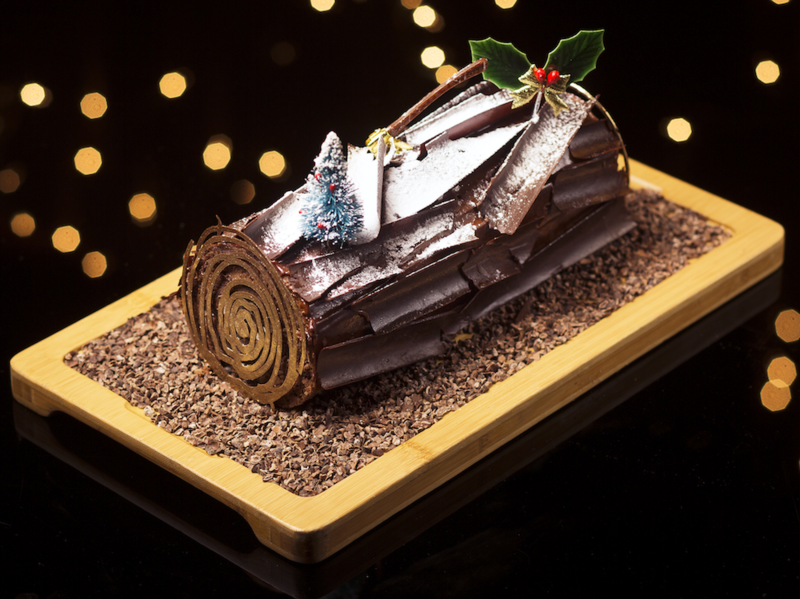 With Christmas in the air, Balmoral is doing log cakes in various flavors that include vanilla, chocolate, coffee and even the tummy warming rum flavor with textures of a wooden pine. Fairmont made a classic blueberry cheesecake that captures the wonder of Christmas. 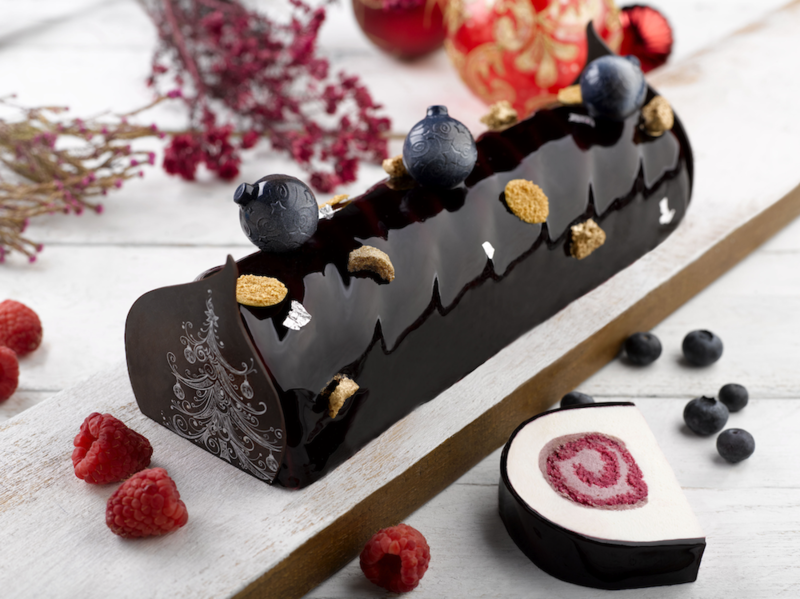 Using exquisite French methods, a mousse-like cheesecake that covers a roll of blueberry cake and cream is borned, creating a luscious log cake for this yuletide season. Rive Gauche has a strong Japanese vibe paired with french bakery techniques. Snowberries Noel, a two-layer hi-soft sponge cake spread with light chantilly cream and fresh strawberries slices, makes every bite of this strawberry shortcake wonderfully joyful. Also they have a 10% for OCBC cardholders and 15% for JPASSPORT members from 14 to 25 Dec, don’t miss out. Various outlets across Singapore, check them out here. 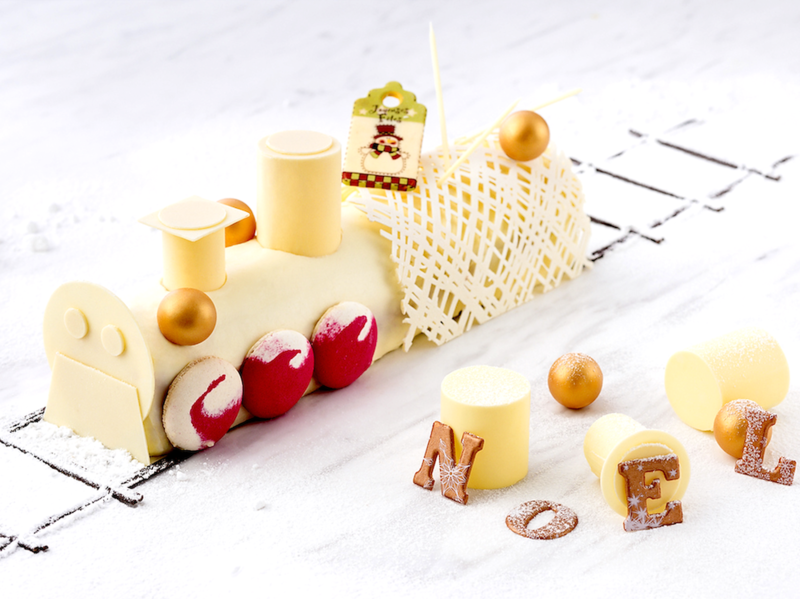 Intercontinental choo-choos a cute red velvet sponge cake that is stacked against lemon curd, balancing out the taste. Sheathing this combination is a beautiful layer of cheese frosting that satiates the sense without overwhelming them, making this White Yule Log desirable and irresistible. 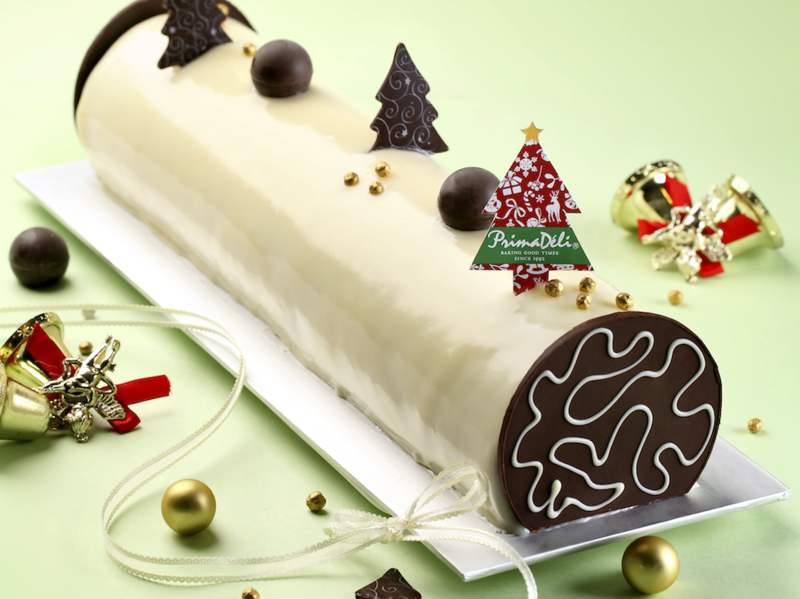 An old namesake in Singapore, PrimaDeli makes their log cake with vanilla sponge soft and fluffy. Amidst layers of sweet and tangy strawberry jam there’s delicious white chocolate ganache. Just drop by early at your nearest Prima Deli to enjoy their early bird special of 25% till 11 Dec. No worries if you miss that, there’s also a Christmas promo of 15% till 25 Dec. Address: Various location across the country, find your nearest here. 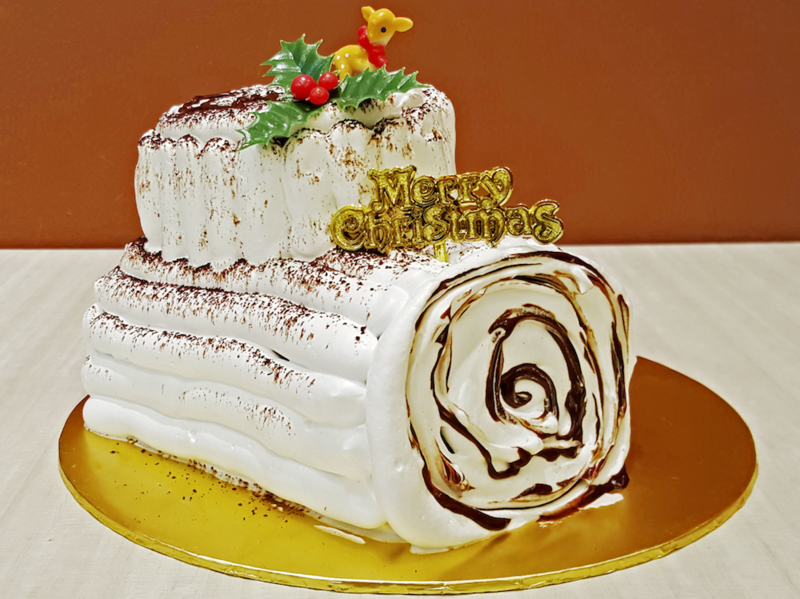 Some of these bakeries do have more than one log cake or other Christmas specials so do check their other websites if you don’t wanna miss out. Drool on!